Is your company a women-owned small business or economically disadvantaged women-owned small business? If so, the SBA’s WOSB Program and its sub-program, the EDWOSB Program, may provide an important source of contracting opportunities. However, these programs come with complex ownership, control and other regulatory requirements you must meet. If you do not follow the rules, you could lose your WOSB or EDWOSB set-aside contracts and face other penalties. If you need a WOSB Program attorney, Koprince Law LLC can help you understand and meet the Women-Owned Small Business Program and Economically Disadvantaged Women-Owned Small Business Program requirements–or file WOSB protests against non-compliant competitors. If you want to pursue WOSB or EDWOSB set-aside contracts, a 2015 legal change may require you to obtain a formal certification instead of relying on a self-certification. In order to be certified, you must demonstrate that your small business is unconditionally and directly owned by one or more women (and that those women fall beneath certain net worth and income thresholds, for EDWOSB status). But what does “unconditional” mean? How do you prove that women control your company? Koprince Law’s WOSB attorneys can help you understand the WOSB Program and EDWOSB Program eligibility requirements. We will review your bylaws, operating agreement, or other corporate documents, as well as your ongoing business practices, to ensure that your company meets the “unconditional” ownership and control requirements. If you are seeking EDWOSB status, we will help you complete the SBA Form 413 and other documentation you need to demonstrate economic disadvantage. If you lose a WOSB or EDWOSB set-aside contract to a company you believe is ineligible, you may be able to file a WOSB protest or EDWOSB protest with the SBA. Win the protest, and your competitor will be disqualified–hopefully, resulting in an award to your small business. 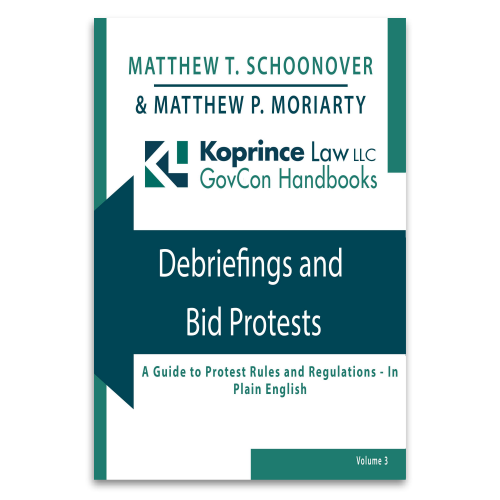 Koprince Law’s WOSB attorneys can put together a WOSB protest or EDWOSB protest, challenging your competitor’s status as an eligible awardee, and giving you another shot at the contract. If a competitor files a WOSB Protest or EDWOSB protest against your company, treat it with the seriousness if deserves. After all, if you lose, you’ll not only lose the WOSB or EDWOSB set-aside contract you just won, but will be unable to bid on future WOSB or EDWOSB contracts unless you are able to fix your eligibility problem. When your WOSB or EDWOSB status is under attack, Koprince Law’s WOSB attorneys can help. 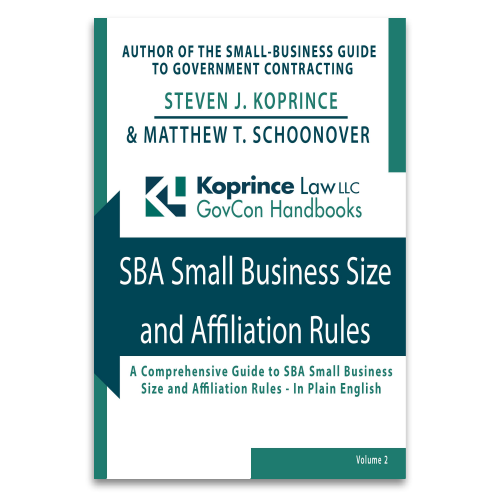 Koprince Law draws on the WOSB Program’s regulations and the written decisions of the SBA’s Office of Hearings and Appeals to provide the SBA with a legal response defending your WOSB or EDWOSB status–and your contract award. If a competitor successfully protests your small business’s WOSB or EDWOSB status, you will lose the set-aside contract you just won, unless you take quick action to appeal the decision to the SBA’s Office of Hearings and Appeals (better known as OHA). SBA OHA has jurisdiction to hear WOSB status appeals and EDWOSB status appeals and can overturn the SBA’s decision finding your small business ineligible. If you need to file a WOSB or EDWOSB appeal, Koprince Law’s WOSB attorneys can assist you. Drawing on our experience with SBA OHA appeals, Koprince Law can prepare a WOSB appeal or EDWOSB appeal on your behalf, asking the SBA OHA judge to reverse the SBA’s decision–and get you back in the WOSB game.